Here we will discuss about how to know that Aadhaar number is linked with bank account or not. The Central Government has made the mandatory for opening of bank accounts and all old accounts. This notification was issued by the government on June 1. 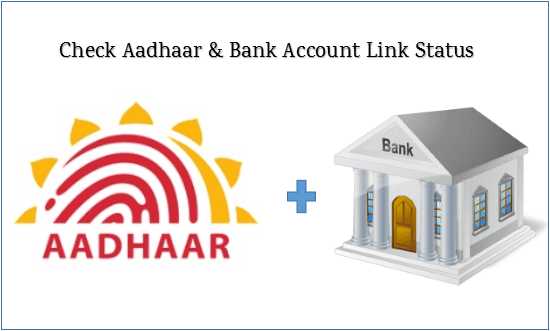 The last date for linking Aadhaar with bank accounts is 3 March 2017. If you do not link your Aadhaar number to bank accounts then the operation of your bank account may be discontinued. Let's know how to know whether your bank account status, whether it is linked to that base or not. Step 3. 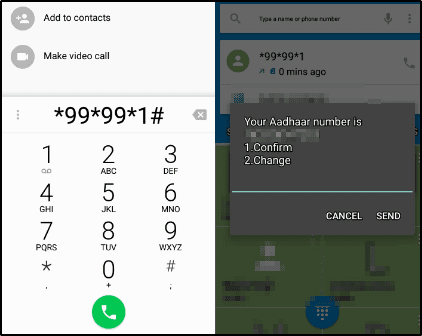 Enter the Aadhaar number and security code. Step 4. A One Time Password (OTP) will appear on your mobile number. Insert OTP and click Login. 5- After the login, a page will open in front of you on the website, on which you will be able to see if your Aadhaar number is linked to the bank account or not. If you do not want to go to Aadhar's website then you can also know the status of your mobile. Let's know how to find out. Remember that the mobile number must be linked to the bank account. 2- Enter the 12 digit Aadhaar number. 4- After this you will know whether your bank account is linked with the Aadhaar or not. When you know about the status of linking your bank account and the Aadhaar, you have to take care of some things. The first thing is that in this you will only see that account number, which you have linked to the last one. If you have many bank accounts, then you have to contact the bank for other accounts.